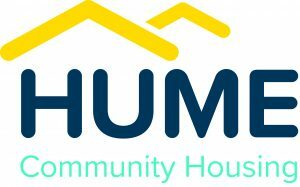 As a Non-Executive Director at Hume, you will play a critical role, as a member of the Board and alongside the Executive Team, in the strategic leadership and governance of the business. Experience and deep understanding of the delivery of human services including disability services. Experience and understanding of growing revenue through alternative and broad funding streams such as government, philanthropic, private grants and institutional investment is highly desirable. Experience or understanding of diversity and delivering services into diverse communities. Due to Hume’s imminent growth, you will also ideally have knowledge of, or currently be based in, the Hunter NSW region. the capacity to develop and utilise networks and contacts to increase the organisation’s profile and reputation. Our Board members are paid a salary reflective of Hume’s not for profit status and salary packaging benefits available to the sector are also available. The Board meets 6 times per annum plus additional sub-committee meetings and strategic planning days. Board meetings are held after business hours. It is anticipated that your commitment will be the equivalent of 1 to 2 days per month. Due to the organisation’s growth, there may be the requirement for overnight travel. Please quote in application: Non-Executive Director via Pro Bono Australia.